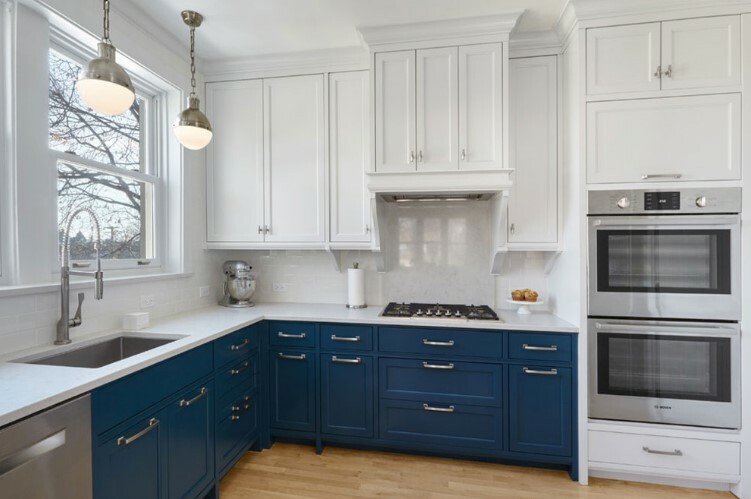 Two Tone Kitchen Cabinets Ideas -Kitchen is a place in which we start our day in the morning by cooking breakfast and having breakfast together with our families. 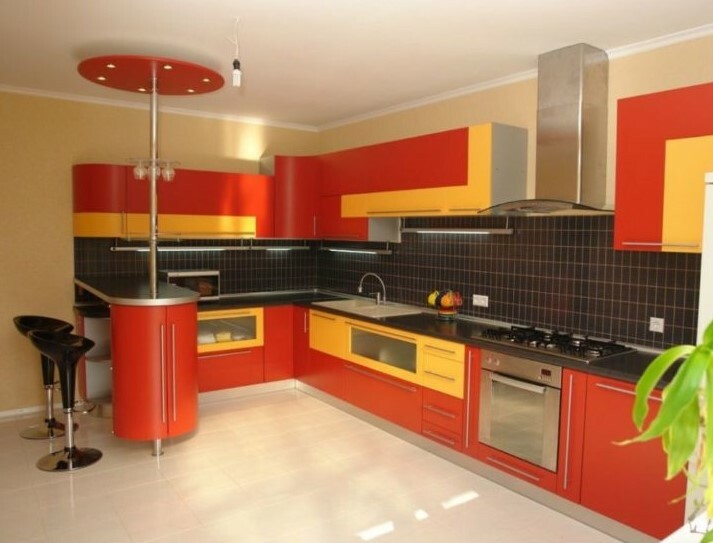 Therefore, you need to make your kitchen as interesting as possible. 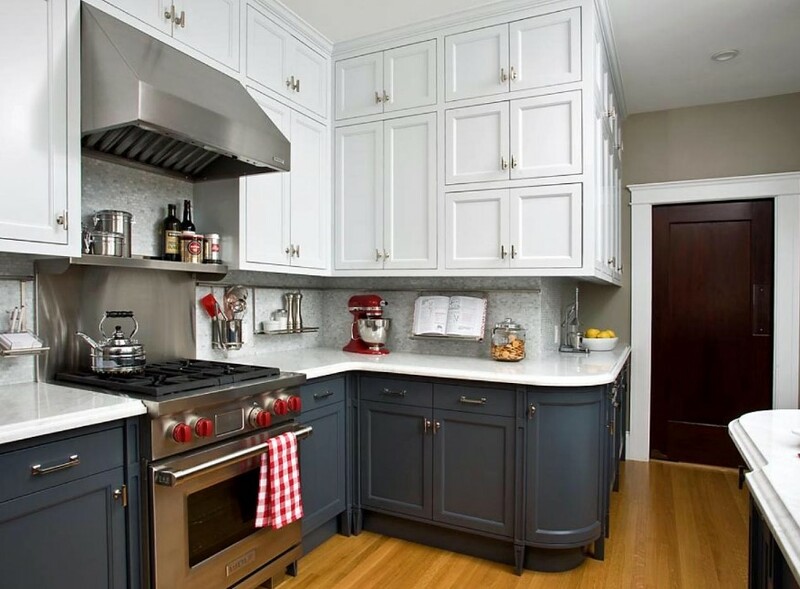 Two tone kitchen cabinets can be one of the best solutions for your problem. But what kind of two tone kitchen cabinets that suit you well? This kitchen cabinet looks very simple yet amazing. The combination of white and navy is just perfect and can impress everyone who sees it. In addition to the soft colors, the marble countertop has perfectly added more charm to this cabinet. The cabinet looks very clean, neat, and well-organized due to the white color that denotes purity, innocence and cleanliness while navy is the embodiment of tranquility. Combining both of these colors is such a great idea. Hint: If you want to play safe, always include white in your cabinet. White matches all colors very well. Do you still remember the fresh air that you inhaled when you were on a mountain? Can you recall the greenish trees that you were looking at over the mountain? Green! Yeah, it’s green. Green is often synonymous with nature. If you want to experience the nature look in your kitchen, this kitchen cabinet might be the one you are looking for. The combination of white and green will refresh your kitchen. And as we know that white is the embodiment of cleanliness. It is also one of versatile colors that can be matched with any colors. Green embodies freshness, fertility, harmony and growth. No wonder this cabinet can make your kitchen look fresher. Hint: White is a versatile color that always matched with any other colors perfectly. Your kitchen looks neat and clean. White is prone to get dirty easily, evena little dust will be easily noticed. When I watched my favorite TV series, Vampire Diaries, I was enthralled by the interior design of the Salvatores’ house. It was an elegant Victorian interior design. I wondered whether it was possible to apply this luxurious look in my kitchen. And, yes, it is absolutely possible. This brown and black kitchen cabinet will provide a luxurious touch of Victorian house just like what you see in the Salvatores’ house. Black is the embodiment of elegance and mystery while brown denotes warmth and honesty. It is such a perfect combination that can seize everyone’s attention. 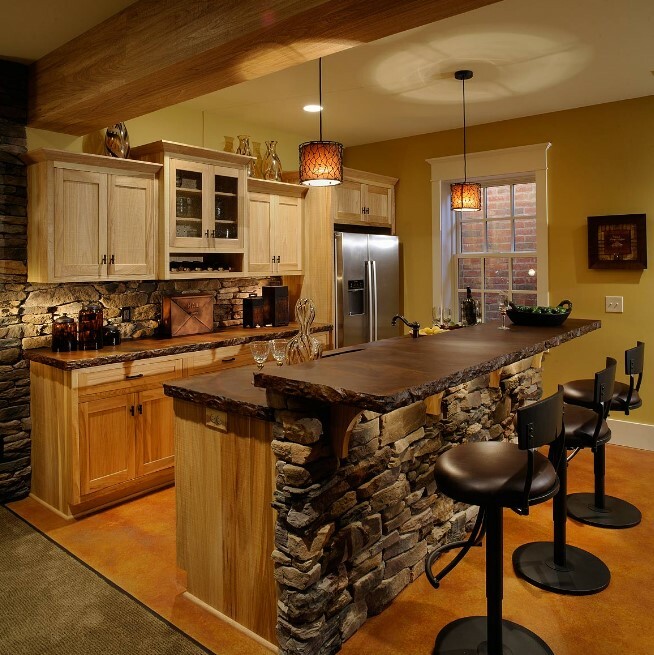 Hint: to make your kitchen look brighter, make sure that brown color outweighs black color. 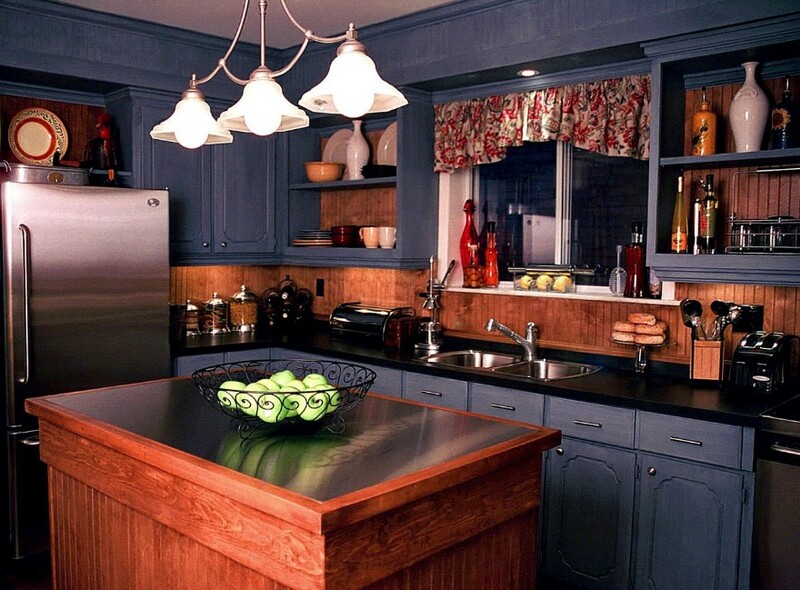 Stained wood makes your kitchen look eminently elegant. It can cost an arm and a leg. 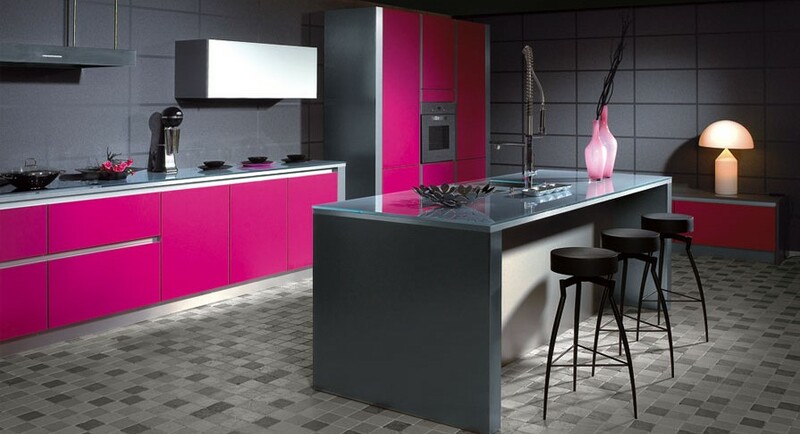 This is my favorite kitchen cabinet idea, pink and gray. As we know that pink is the color of affection, romantic, and has always been synonymous with feminine. But it doesn’t mean that pink belongs to girls only. Thanks to the gray color that has alleviated the feminine ambience and turned it into the nuance of romantic in boldness. The pink color is rather bright that embodies boldness rather than tenderness just like what light pink usually does. Therefore, it is perfectly matched with the color of masculinity─ gray. Hint: If you want to permeate the romantic ambience, you can add ared kitchen rug on the floor. It will create a perfect dinner moment with your beloved one. It will be a bit arduous to paint the cabinet rigorously. Contemporary interior design tends to be unsophisticated yet attractive. The use of vibrant colors has always been its character trait. If your house uses contemporary design, this two tone cabinet might suit your style very well. The vibrant color of read denotes vigor, affection, leadership and powerful. And, again, white color adds the clean look to your kitchen. They are such a great combination. Hint: to kick it up a notch, you can a gray marble countertop. The vibrant red color can make you fired up. This kind of cabinet can be exorbitant. This kitchen cabinet features a distinctive look that will make your little princess thrilled very much. 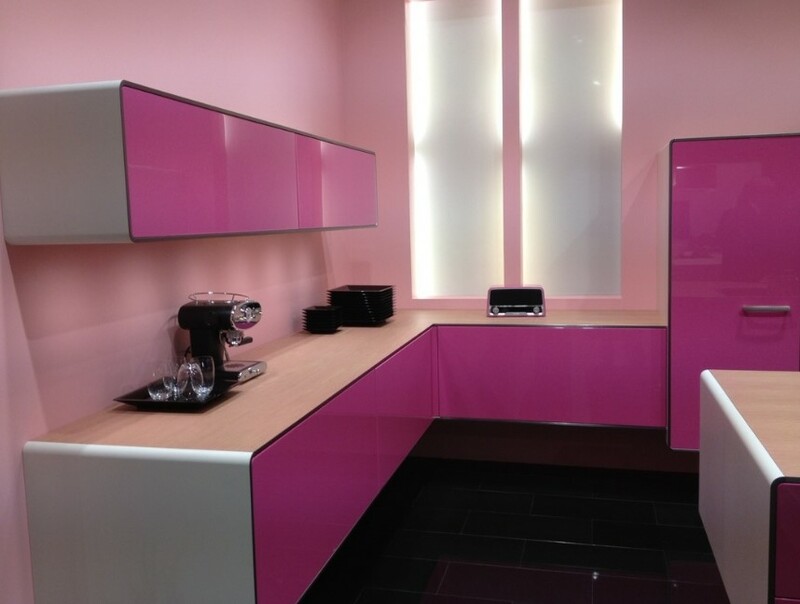 It looks like aBarbie’s house─ sophisticated, cute, elegant and pink. 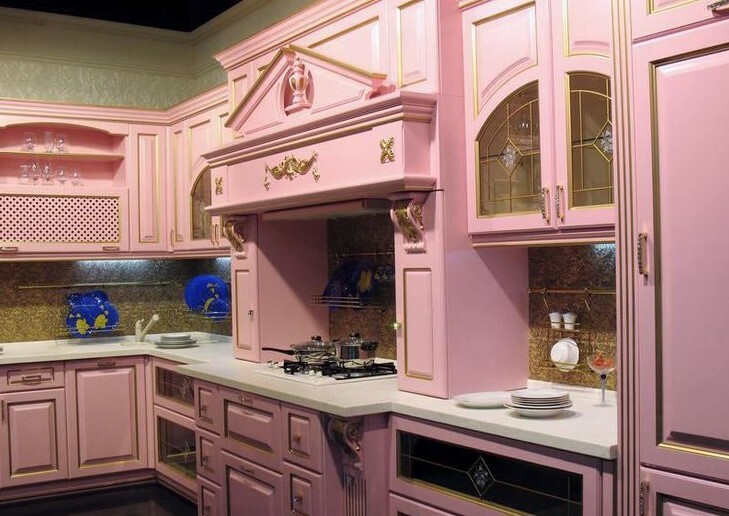 You can apply this Barbie kitchen cabinet to recall the moment when you played your Barbie dolls with your friends or just simply make you daughter’s dream come true. As you can see that white also appears in this cabinet. It seems that white is such a ubiquitous color for kitchen cabinet. But it emphasizes in the pink color rather than white as light pink represents romantic and feminine, just like a Barbie─ gorgeous, blonde and feminine. Hint: adding some ornaments will make it look like a castle that usually occurs in some Barbie’s movies. It will give a distinctive look to your kitchen. Being classic does not have to be outdated. Take a look at this teal brown two tone kitchen cabinet. The brown color does represent the classic stained wood that has made it look extravagant. And the teal comes up with a pop and chic look that makes the extravagant ambience become more subtle. They do make pretty good team in accentuating your kitchen’s look. Hint: Since teal and brown are prone to be abit darker than some other colors, you might want to use sufficient lightings for your kitchen to comfort your sight. It does give an elegant anda classic touch to your kitchen. It will make your kitchen look more cramped due to the dark colors. Vintage style used to be a hit during 1970s. The soft and pale colors have been one of its traits. But it seems that this fashion style has returned today with a more gorgeous look. Even some homeowners implementvintage style for the interior design of their homes. 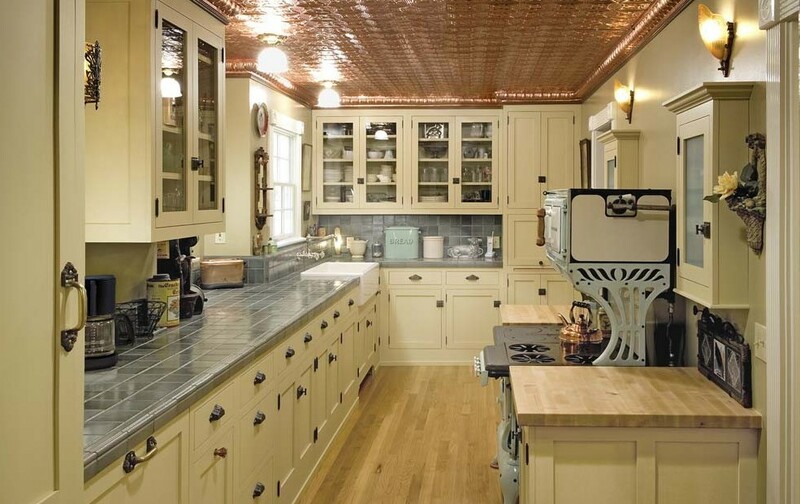 You can also have a vintage style in your kitchen by having this kitchen cabinet. The subtle aquamarine combined andsoft white havemade a perfect combination to create a vintage style. And now you are ready dance in your kitchen. Hint: put light cream wallpaper up will enhance the vintage look. The soft color is soothing. Your kitchen can be somewhat dull. It seems that vintage style is really a hit now. Many people prefers buying top notch vintage furniture to the contemporary one. 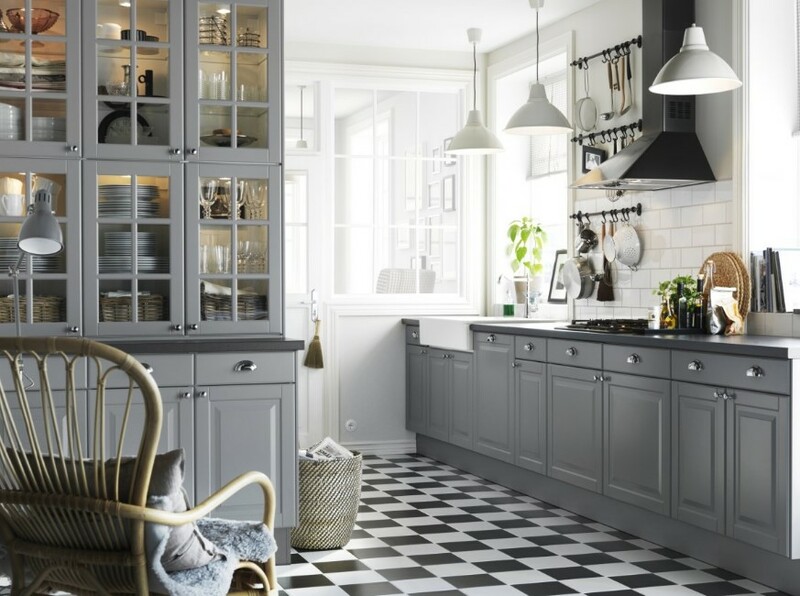 Even this simple black and white kitchen cabinet is designed in a vintage look. If we are talking about vintage style, we are talking about matte colors instead of the lustrous ones. The dull finished black cabinet is really stunning. It denotes boldness and mystery. 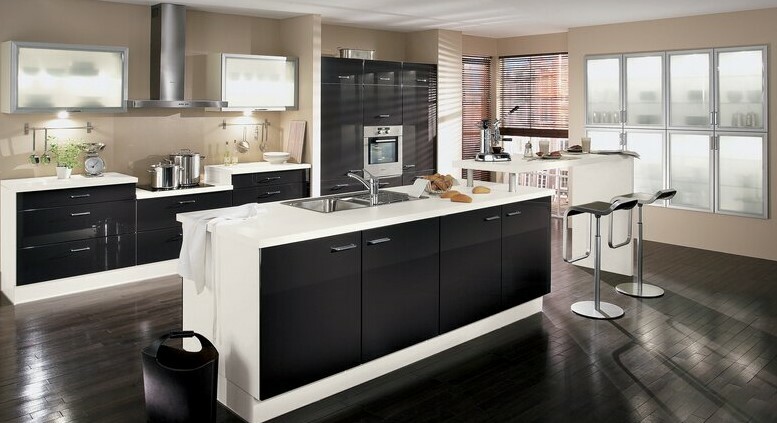 White, on the other hand, provides the clean and calm look that blend very well with the black color. Hint: using silver kitchen faucet will be great. Your kitchen will look fascinating. Minimalist interior design is often synonymous with modern style that is less sophisticated, economical and designed with bold shapes and colors. I am always enthralled by minimalist look because it is always simple yet breathtaking. Like this kitchen cabinet. We are dealing with white again. 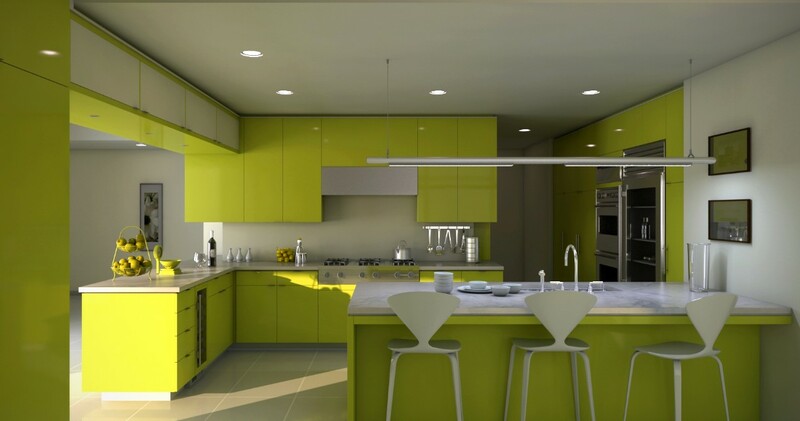 Unlike vintage style which tends to use dull and soft colors, modern kitchen cabinets tend to use lustrous colors. Even the white color dominating the cabinet looks pleasantly glossy. The veneered cabinet doors suits the floor very well. What an exquisite kitchen! Hint: To make your kitchen look neat, white is just a yes. 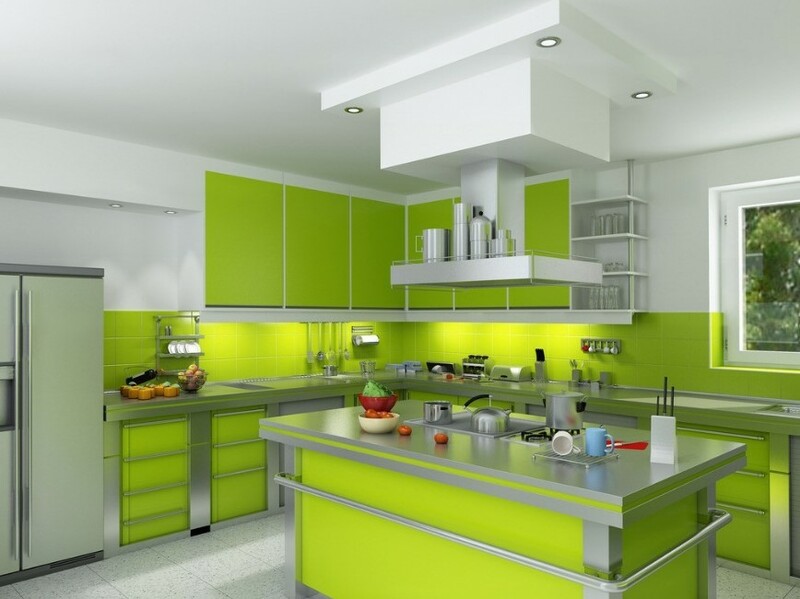 Bright colors make your kitchen look spacious and clean. The furniture can burn a hole in your pocket. I love this kitchen cabinet. It may be because pink is my favorite color or the design is too chic and fascinating. The glossy pink represents invigorating and romantic feelings─ bright and lustrous. 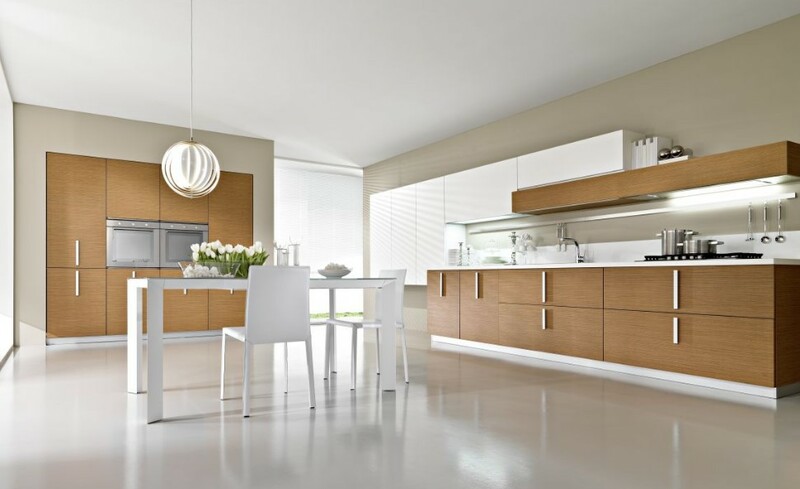 It is combined with clean white color that brightens up your kitchen. In addition to those two glossy bright colors ─ pink and white─, the simple pattern that is painted right above the stove has sweetened the cabinet’s look. And don’t forget the black marble countertop that accentuates the design very well. Hint: adding more patterns will be nice. 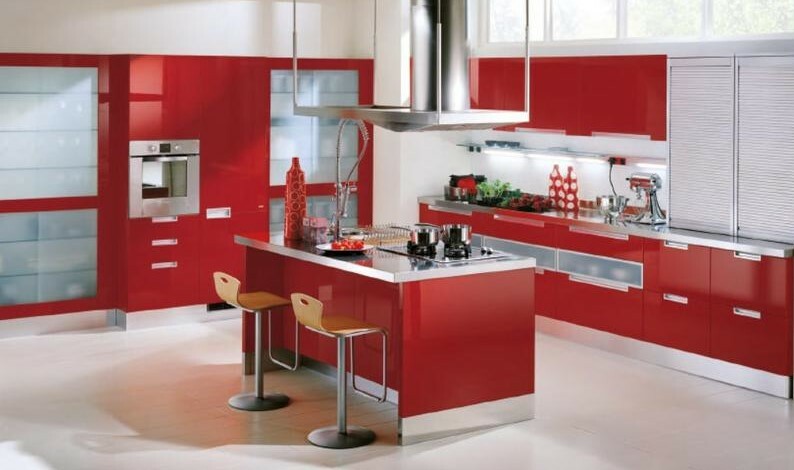 The glossy colors make your kitchen look fashionable. Adding patterns can be arduous. Cooking time should not be a miserable moment in a day. You can turn it into a bright cabinet that permeates cheerful mood. Orange is the mixture of red and yellow. It denotes joy and warmth. This vibrant color is full of energy. Yellow is also the embodiment of freshness, happiness and energy. As kitchen is one of the rooms in which you spend your time to have breakfast with your family, orange and yellow color will boost your mood before beginning to do your stuff. Hint: Adding a large rug will sweeten the look. The bright and cheerful colors can enhance your mood. Vibrant colors only match with modern house. Monochromatic interior design is not always mundane. If you can mix and match the furniture very well, you will make an impressive interior design despite being black and white only. This kitchen, for instance, uses black and white tiles that are rigorously placed like a chessboard. It creates a distinctive pattern. And the two tone kitchen cabinet suits the tiles very well. The bottom part is black denoting masculinity and boldness while the upper part is white. It is just simple yet amazing. Hint: To make the kitchen look more spacious, it will be better if you use larger tiles. It is simple yet amazing. It is very suitable for those who loves simplicity. Monochromatic design can be tedious sometimes. This kitchen cabinet is eminently simple. There is no distinctive pattern nor ornament that can make it look extravagant. But this simplicity has brought this stylish kitchen to the next level. Although it is not sophisticated, but it does not mean that it does not look fabulous. The bottom part of the cabinet is veneered with dark brown color that provides the natural look. The upper part is white which looks clean and elegant. The handle of the cabinet’s doors are specifically designed to enhance the cabinet’s look. I am sure this top-notch cabinet will suit your style very well. 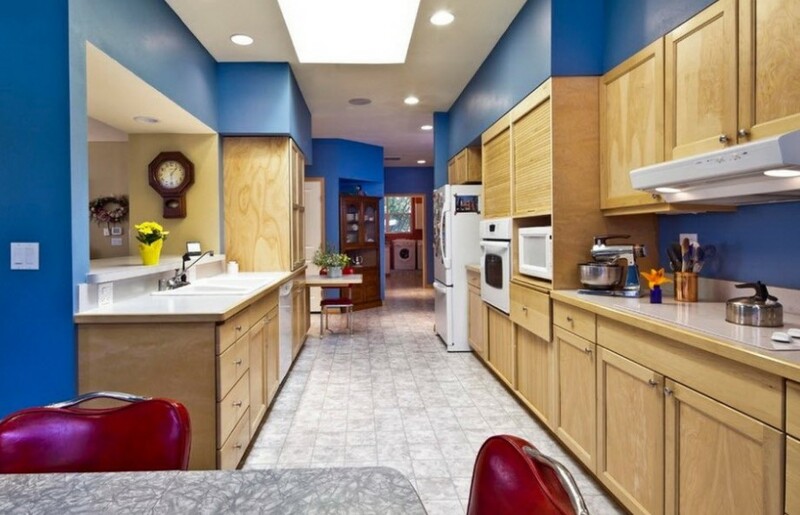 Hint: You can add a small kitchen rug to better your kitchen’s look. The simplicity will comfort you well when you are cooking in the kitchen. Modern kitchen cabinets tend to be a bit pricey. When looking at this kitchen cabinet, it reminds me of the design of bars that are prone to be a bit dark. The combination of light brown at the top of the cabinet and black in the bottom part pictures a bar image. In addition to the colors of the cabinet, the hanging lamps really make good accessories for the “kitchen bar”. And so do the high stools. The gray marble countertop better the look a lot. Hint: to make it more unique, you can add a hanging glass rack. It feels like you are in your own bar with your family. The furniture is a bit costly. Those are some amazing two tone kitchen cabinets ideas. Some of them might be suitable for you while some others might not. Choose the one that fits your style and budget well to boost your mood in cooking and baking.